New and young the home renovation industry is not – which is what makes a renovation franchise so appealing to smart investors. In fact, the very first professional home improvements happened in ancient times, dating back to 1 B.C. Since then, home and business owners have found and will always find reasons to update existing and build new properties. But beyond the practical, ongoing need for home construction offerings, there are a few things that make the renovation industry especially intriguing as a business opportunity in 2018 and beyond. According to the Houzz 2017 State of the Industry report, 2016 was deemed the best year for home renovations in recent history. The home improvement industry accounts for some $300 billion in sales and it’s growing year over year. One area that’s seeing extraordinary growth is sustainable home improvements. The U.S. Green Building Council predicts that building owners and managers will invest an estimated $960 billion between now and 2023 on “greening” their existing infrastructure. It turns out what’s good for the environment is also good for business, something Trend Transformations understands well. Not only would a renovation franchise be a wise investment for years to come – likely much longer – but one that offers certified “green” property improvements will attract a much larger market than those which don’t. Baby boomers, Gen Xers, and Millenials are all increasing the amount of money they’re spending on remodeling projects, which is good news for anyone consideration a renovation franchise. If you are judging “future growth in the industry…on how well millenials get engaged in the housing market in the years ahead” (Kermit Baker of the Joint Center for Housing Studies at Harvard) then the outlook is strong. Millenial and first-time buyer spending is up, reports Houzz. And with Boomers and Gen Xers holding strong, the entire renovation industry is in a prime position to continue growing well into the future. Good news for renovation franchise owners: Whether home owners are choosing to trade up and put their house on the market, or stay where they are and invest in improvements in their current home, they will need remodeling services. But if there is a shortage in single-family homes in the market, as there is now, that’s even better for home renovation businesses. Instead of opting for a new home, or starting brand new construction, more Americans are making necessary updates and improvements in their current home – music to the ears of any home renovation franchise owners. 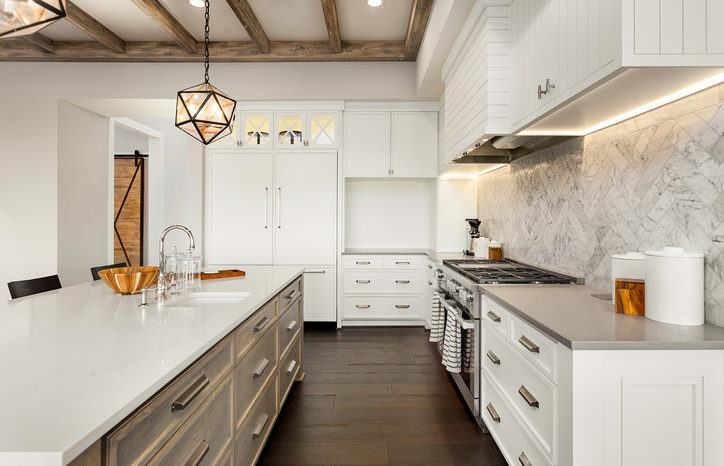 The two most popular remodeling projects continues to be kitchen and bathroom, no surprise since that’s where people spend most of their time inside. Even small improvements in these areas like using LED lighting and considering open shelving can increase the value of a home and make it a more enjoyable place to be. Clearly the home remodeling industry is not going away any time soon. But if you are thinking about a renovation franchise, the time to invest is now. To find out what makes Trend Transformation a one-of-a-kind renovation franchise, contact us today!